Watching the Super Bowl Sunday started me thinking about football. I remember the first time I went to a football game at Watkins Field at Dora High School. I was in the fourth grade at Dora Elementary. It was a Friday night in September (we never started back to school until September) and dad had to park down the road by the Dora Church of God and we walked up the hill to the gates. 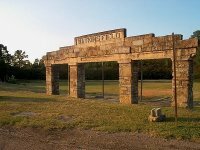 The stone entryway to Watkins Field was built by the Civilian Conservation Corps during the depression and it looked as big as the Parthenon. As I we approached the field, the lights were as bright as day. The cadence of the drum squad and the noise of the crowd had my heart racing with excitement. I could smell popcorn, peanuts and cotton candy. The Blue and Gold crepe paper streamers and banners hung from goal posts and fences and fluttered in the autumn breeze. Boys my age playing catch and tackle with a small football in the end zone. Young girls lined the fence and watch every move the cheerleaders made.. I was in awe. As the game started, I didn't know a lot about football, but I knew that we were supposed to beat the crap out of Cordova....Which we did that year. I ate so many hotdogs that Oscar Meyer had to put on a shift of overtime to catch up. That stadium was packed and I recall seeing people in trees outside the fence in the old graveyard that was next to the football field.. Times were tough then and even though it only cost a quarter (I think); there were those who could not afford admission. The event was like a carnival and it instilled a love of football that stuck with me. But as I stood in front of Watkins Field this week shooting this photo, the stadium looks so small. The field is now being used as a soccer field. I had never even heard of soccer until the Olympics in Atlanta. One of our out of state alumni sent me a note last week and he wanted to know if the Watkins Field was still standing. I said yes, it's there, but not as big as I remembered. To paraphrase part of you blog, Rick, I too "remember the first time I went to a football game at Watkins Field at Dora High School." I wasn't in the fourth grade, though. I was a junior at Thompson High School in Siluria(Alabaster, Alabama). My memories weren't as fond as yours, but they were unforgetable just the same. I was a starting lineman/linebacker for the Thompson Warriors, with hopes of college scholarships and football fame. We knew Dora was an exceptional team, with many super athletes in that fall of 1963. We proved to be no match for the Bulldogs that night, having been manhandled by halftime. This, by the way, was when I left the game. 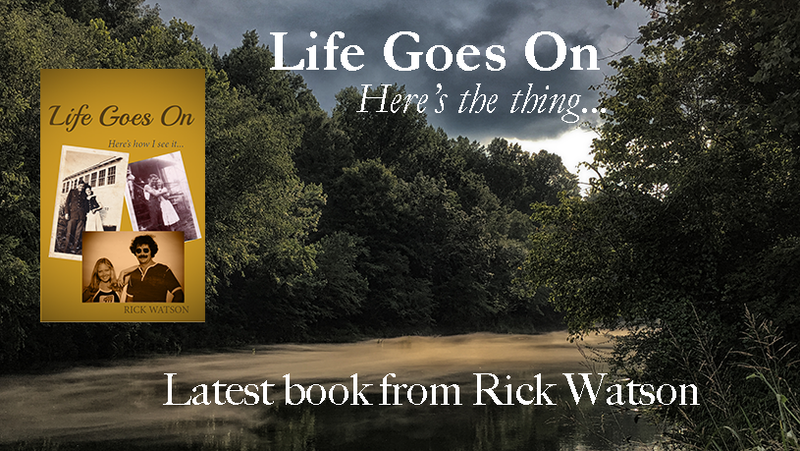 On the last play of the first half my dreams of sports ended and my path through life changed, with the crunching and tearing of a left knee which would never be the same. Even though that night at Watkins Field I didn't know the severity of the injury, eventual surgery and rehab couldn't restore it to good use. All of that night was not about pain. That is not what this comment is about. I remember a pretty good half of football I had, against a very tough team. I remember two young Dora cheerleaders who came to check on me as I watched the second half from Dora's side of the field. Three years later, in the Fall of 1966, I was drafted into the Army for the buildup in Viet Nam. The knee again failed me and after only two months the Army discharged me. I was injured, hospitalized, discharged, and returned home. I mention this because, if I have the story right, Dora High School lost a favorite son in Viet Nam, possibly a player on the field that night in 1963. I've often wondered if he could have been the one who set my life to tumbling, changing my life that night. I wonder if by chance he took my place. Could a chance meeting of the two of us, have directed our fate? I remember it Rick, but I've yet to decide if, after over 42 years, Watkins Field cursed me or blessed me.